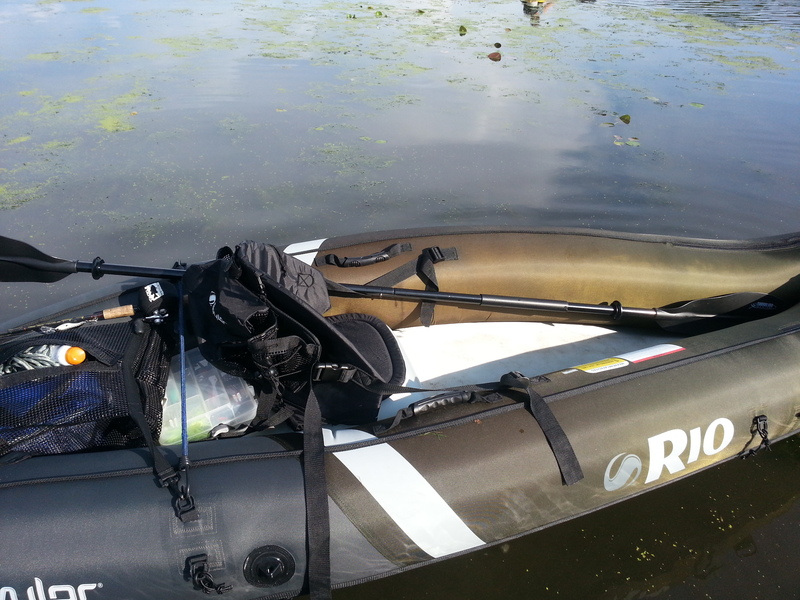 1-person hunting and fishing inflatable canoe with kayak-like maneuverability. 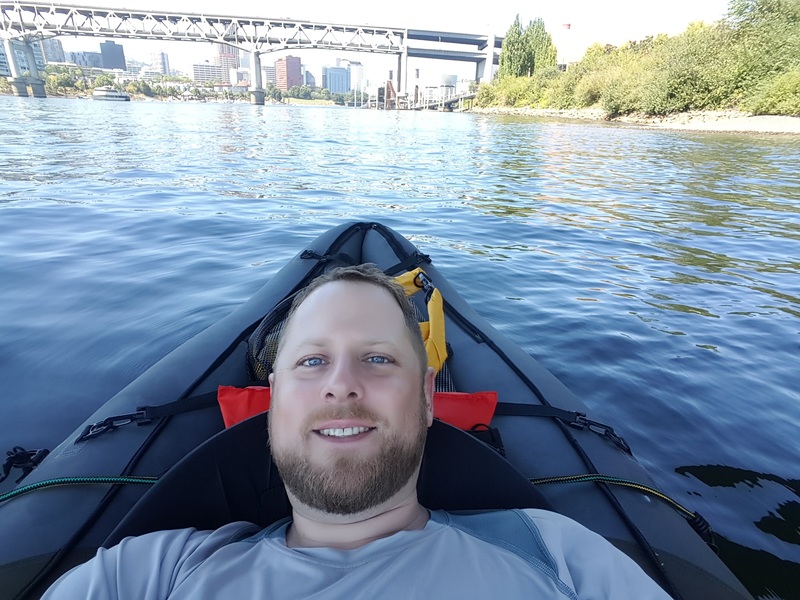 I first became interested in getting an inflatable kayak after hearing about someone taking one out regularly on the coast, which until then I had not thought would be a good idea. I did some research and found that inflatable boats can be quite robust! I decided to buy the Coleman Sevylor Rio because it seemed like the best one available on Amazon (plus free Prime shipping), and I've always had good luck with Coleman brand items in the past. It looks like Coleman now owns Sevylor, originally a French brand which has been making PVC & Nylon inflatable boats since 1948. Coleman Sevylor Rio - The inflatable kayak that inspired this write-up. Air Head Pump - Do not let the low price decieve you; this is a fantastic pump! I typically start out with the double-action switched on, but toward the end I tire out and flip it to single action. Rounded Paddle - This paddle is long enough to handle the width of the Rio and has a countour that gives a nice pull against the water vs the flat square style that some other kits come with. Paddle Leash - To avoid being up-creek without a paddle and also useful for quickly tethering the kayak to a dock or other boat. Emergency Whistle - It is required to have a whistle onbaord a boat in many states, and this one is a nice blaze orange. Life Jacket - Putting compliance over looks, this life jacket also makes for nice lumbar support if strategically positioned between the chair and cargo net. Safety Horn - For use in foggy, emergency or annoying situations. Waterproof Phone Bag - Because how will you save your KML route if your phone gets wet? Plenty of sunscreen, water, some rope, snacks and fishing gear! The first test was to inflate the kayak in our condo and then make sure it would float in a swimming pool. Shortly after that we went for a drive to New Buffalo, Michigan and launched at Galient River Park. It was a bright sunny day, perfect for being out on the water. Like always, our dog Oscar started jumping in between the boats, so I tied some nylon rope to his doggie lifejacket to keep him from getting to far away from us. We paddled out to Lake Michigan, but the wind picked up and the waves made things a bit uncomfortable, so we quickly paddled back to the river and back upstream to the car. Overall the kayaks worked out great. This has been a great starter kit for a total of about $300. As someone who is ~215 pounds without gear and enjoys pushing equipment to its limits my main concern was that the inflatable would pop or leak water before I was able to get value out of it - or even worse leave me in an emergency situation. Now that I have about a dozen trips in the Rio, I am impressed with how durable and leak-free it has been. Durability: I've run into sharp sticks, rocks and even snagged my own crankbait on the canvas while casting, but have yet to spring a leak. Capacity: Fits myself, mandatory safety kit, a small dog, fishing rod, tackle and a soft cooler of food and drinks. Fishing: It adds an extra element of fun to be pulled in the kayak by a fish on the line. Extra bungee cords help with paddle & rod management. 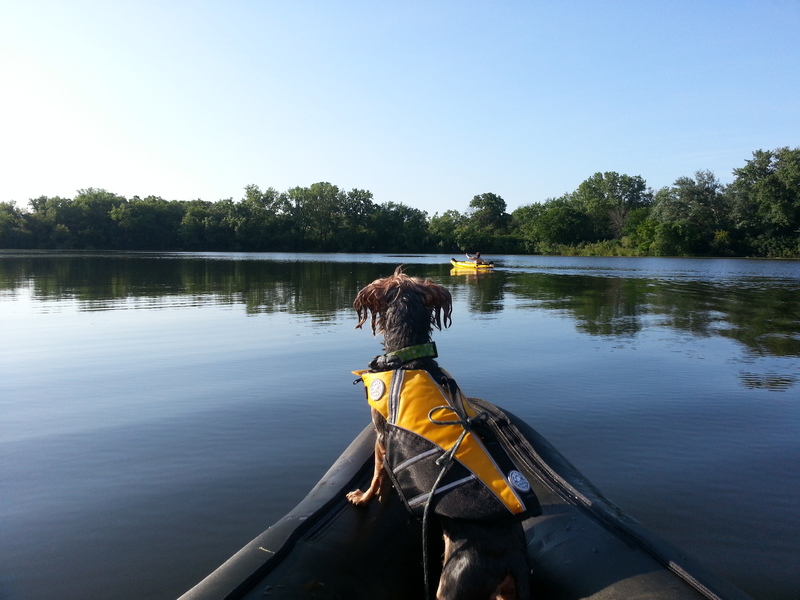 Dog-friendly: Our dog has sharp nails and although my legs got scratched up, the kayak didn't have a mark on it. Portability: Packs down to about the size of a piece of luggage and easily fits in the back seat or trunk of a car. Listing: There is no keel or fins; just a thin rubber strip so it takes more paddling effort to stay in a straight line. Wind: The kayak sits up high on the water and catches the wind. On one trip I jumped out for a swim and almost lost my boat. Setup Time & Effort: It takes about 20 minutes to unpack and inflate the kayak with pumping as fast as I can. Cleanup Time: Deflating and packing also takes about 20 minutes, but to avoid mold it needs to completely dry out first which can take over an hour. The Coleman Sevylor Rio is a great inflatable kayak that I would highly recommend for someone casually getting into the activity. It is a great way to get out on the water, get a good workout and have fun. If you go on a longer trip then to avoid the setup and cleanup every day it can be left inflated, and has even survived a few short trips tied on to the roof of my car. For more extreme use cases like whitewater or ocean kayaking then it would make more sense to get a specialized hard shell but this is a great general purpose kayak. 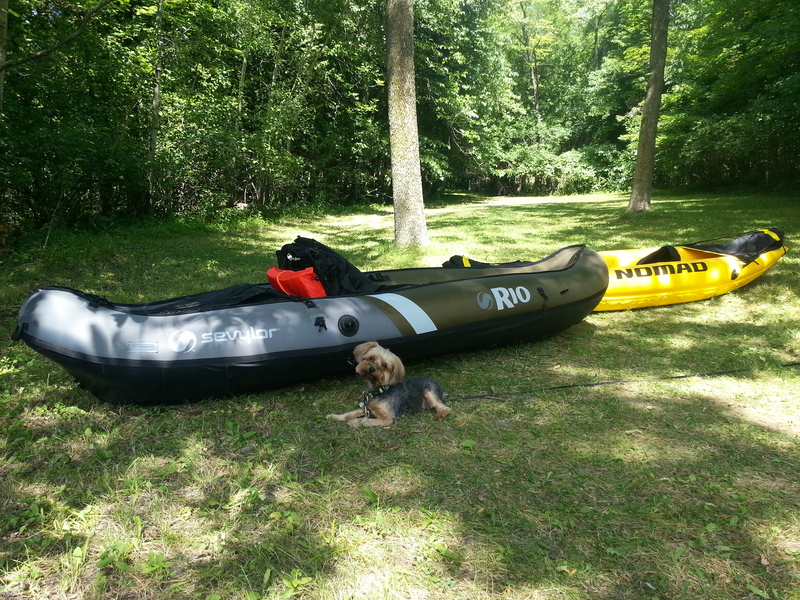 Special thanks to Tyler for writing up this Coleman Rio inflatable kayak review.